CareAi is a project of the Joint Research Centre from the European Commission that has the potential to improve healthcare services in Africa through the use of artificial intelligence and blockchain technology. The open-source solution provides intelligent and anonymous healthcare and can diagnose diseases like typhoid fever, malaria, and tuberculosis within seconds through the use of AI. The aim of the project is to reach out to undocumented migrants, ethnic minorities, and populations secluded from healthcare systems. The anonymous nature of CareAi also allows patients such as migrants to receive a diagnosis without worrying about deportation. CareAi is a machine featuring a finger prick and a lab-on-a-chip technology initiated by a Harvard University chemistry professor called George Whitesides. To receive a diagnosis, a patient will have their finger pricked and the blood sample is deposited on the chip, put in the machine, and anonymised. 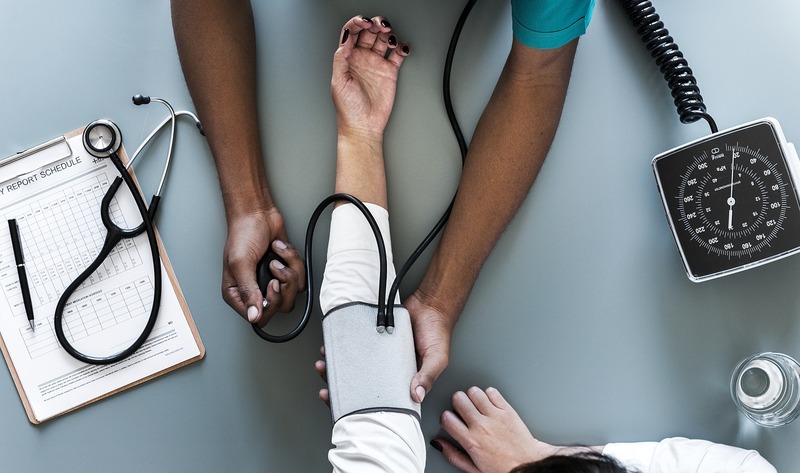 Once this is done, CareAi’s AI-powered health assistant analyses the sample by referencing it to a wide range of medical and diagnosing data and then displays the results on a screen and provides a printout for the same. The results come with actions that the user should take such as getting a prescription from partner chemists or seeing a participating NGO doctor that provides anonymous treatment and who can claim back payment for services rendered. Additionally, CareAi correlates medical data with records of academic data and journals anonymously. The anonymised data is securely stored on the blockchain while smart contracts manage the rights, permission, and access to the stored health data. Organisations use a distributed app to access the data through smart contracts. For instance, if a government wants to access the stored data for policy purposes, it has to buy tokens called CareAi Points. These tokens are then used to pay the participating healthcare NGOs and for machine maintenance. Ekekwe also says AI systems, such as CareAi, can enhance drug prescriptions where the medical history of a person is entered into the system. This enables the AI system to confidently prescribe drugs and connect the patient to the right pharmacy. However, he notes that although AI and blockchain technology could change the healthcare systems in Africa, nations must invest in other areas such as training more healthcare professionals and installing electricity and clean water in all healthcare facilities. He also believes that the challenge of inadequate data has to be solved for AI to have a future on the continent. Vodafone Ghana in collaboration with IBM, HackLab Foundation, and Stanbic Bank has introduced a blockchain technology programme for technology students at the Kwame Nkrumah University of Science and Technology (KNUST). The aim of the programme is to promote digital innovation in Ghana. 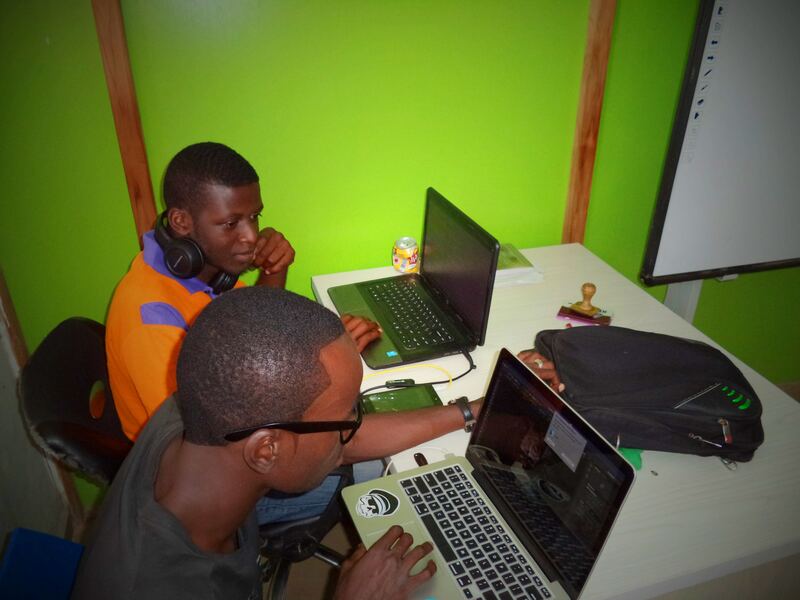 Hacklab Foundation is a non-profit organisation based in Ghana that instills skills in the youth in preparation for the job market while connecting them to potential employers. 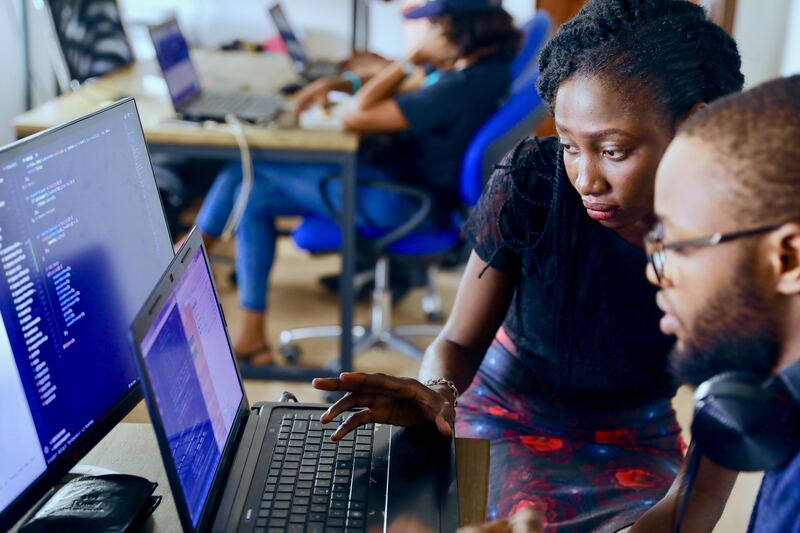 As GhanaWeb reported, the hackathon attracted 600 developers from more than 18 institutions across Ghana with the purpose of finding blockchain-based solutions for the country’s market and for the entire continent. Vodafone Ghana will help the developers that had the best solutions from the hackathon to execute their ideas. “Our status as a leading telecom company in Ghana means we have the power to drive change in our society and this is one of the many avenues we are deploying to accelerate Ghana’s digital journey,” said Vodafone Ghana’s Enterprise Business Director Angela Mensah-Poku. According to a statement from Vodafone Ghana, the blockchain technology programme will revolutionise how student developers think. “Blockchain technology is a very fascinating concept which has captured the attention of the world and this hackathon is a demonstration of our commitment to lead a digital revolution in Ghana. We are always excited about the opportunity to unearth young talents in the digital technology sector,” Angela added. Vodafone Ghana has been promoting the digital revolution in Ghana for more than three years, the telco company said in the statement. This has been done through the implementation of a digital strategy that is all-inclusive. Vodafone implements its strategy through annual hackathons, national digital coding, and the youth skills and jobs portal. Vodafone Ghana was recognised as a digital leader at the Ghana Business Awards in 2018. Mauritius-based technology firm Horizon Africa has launched a new platform aimed at educating Africans about blockchain technology and encouraging startups, corporations and public sector institutions to utilise it. Horizon Africa is an Ethereum-based blockchain platform that offers blockchain solutions and facilitates DApp development. The Horizon Africa Blockchain Network (HABN) aims to apply blockchain to a number of industries including fintech, digital healthcare, education, governance and more. “Even though the public Ethereum (blockchain) has been available for years, the blockchain landscape in African countries has not developed much. There is a gap which is being filled by Horizon Africa. Its focus is not about creating a network or increasing the value of its token, but instead to allow people to learn about using the network. Building prototypes and ultimately real solutions is a large part of the mission,” he stated in an ITWeb Africa interview. To make this dream a reality, Horizon Africa aims to involve African developers in the creation of blockchain solutions. The HABN network will provide a ‘test bed’ for local developers to design and deploy DApps that solve specific challenges in areas such as identity management, land registry, supply chains, gaming, and agriculture. Sumaroo believes the uptake of blockchain-based products in Africa will increase within five years. He argues that Horizon Africa’s platform will play an important role in enabling African companies, startups and governments to learn about the technology, develop an implement blockchain systems. He stated that Africa should position itself to maximise on the opportunities brought by digital technologies such as blockchain, AI, big data analytics, and 3D printing. Sumaroo mirrors the same belief and reiterates that blockchain technology will play a critical role in industries such as finance, agriculture and the public sector in the future of Africa. 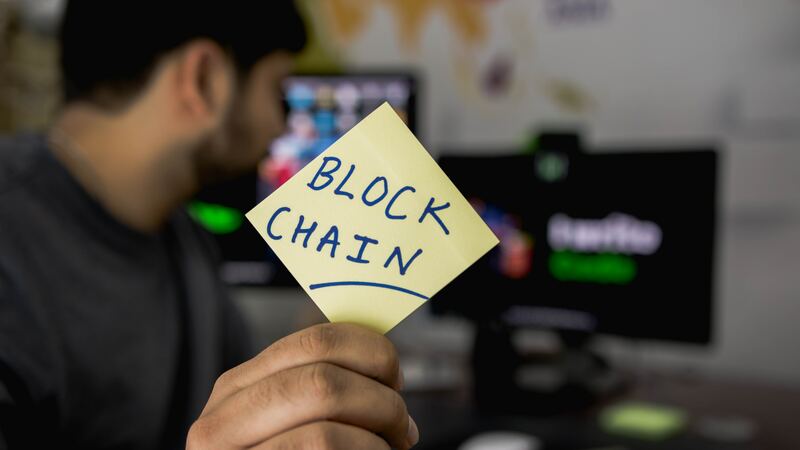 The blockchain has garnered a lot of hype thanks to its potential to disrupt various industries from healthcare and banking to the supply chain and elections. However, there is still a huge gap between blockchain hype and actual implementation. BitcoinAfrica.io spoke with Kingsley Ndiewo, CEO of Nairobi-based blockchain development and education startup Funtrench, to hear his views on how this gap can be bridged. The first step towards moving from a lot of talk about what the blockchain could do to adoption is awareness. According to Ndiewo, the Kenyan government and the private sector should spearhead the sensitisation of civil servants, policymakers, and the public. “When government functionaries are well-informed about the technology itself then they can better push for adoption within government bodies and recognise the benefits that accrue from widespread adoption. Institutions such as NITA and TVET can be equipped to train blockchain skills at a vocational level through private sector partnerships,” he said. The National Industrial Training Authority (NITA) and the Technical and Vocational and Educational Training (TVET) programs focus on instilling hands-on skills to learners. Ndiewo believes that for blockchain technology adoption to actually happen, hands-on training is important as well. Moreover, for real blockchain adoption to take place in Kenya, the private sector needs to develop market-ready blockchain solutions. “Only by well-implemented and viable solutions being in use can adoption become possible. A sensitised government will provide opportunities for the private sector to implement blockchain-based solutions,” he added. To this end, little is being done towards increasing awareness and executing blockchain-based solutions in Kenya. For instance, the Kenyan government created a Blockchain and AI Taskforce in 2018 whose report is yet to be released publicly while only a handful of companies – such as Twiga Foods and the Kenya National Chamber of Commerce and Industry (KNCCI) – have announced partnerships for blockchain-based solutions. With less than a year in the blockchain space, Funtrench is eager to make a change with its three blockchain-based solutions, Ndiewo noted. The first solution the technology company is working on is a portable DLT. This solution will offer a portable solar-powered blockchain network. The second solution is SACCO Chain, a mobile app that seeks to solve the challenge of fractional ownership of machinery, vehicles, and other assets. The third solution is Ganji, a cross-border payments and asset exchange platform. The solution solves the issue of cross-border trade in Africa and the high-cost of remittances. Additionally, Funtrench has partnered with US-based certification company Blockchain Training Alliance (BTA) to offer blockchain education courses such as Blockchain Business Foundations, Blockchain Security Professional, Blockchain Solutions Architect, Blockchain Developer Hyperledger, and Blockchain Developer Ethereum. The Nairobi-based startup is also working with organisations such as Oshwal College, AkiraChix, BlackRhinoVR, Kesholabs, Hyperledger Community, Kenya’s Blockchain & AI Taskforce, and Botlab to promote the blockchain and other emerging technologies in Kenya. In the next five years, the Funtrench CEO envisions an environment where most businesses, including SMEs, will have deployed blockchain solutions in their operations. Moreover, he expects that blockchain solutions in Kenya will be prevalent in government agencies where they will be used to enhance transparency and secure data. “We expect that blockchain solutions will be as commonplace as databases and their benefits will be more deeply understood by the general public. This will increase confidence in systems that employ blockchain technology and subsequently increase demand for blockchain-savvy professionals,” Ndiewo concluded.